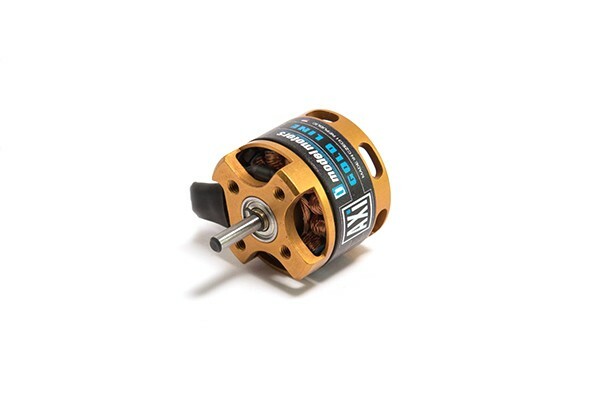 You will be surprised by the very high power delivered by these small and very robust, but light weight (43.5g with power cables) brushless motors with rotating case suitable for all models of 300-400 size, and microhelicopters. 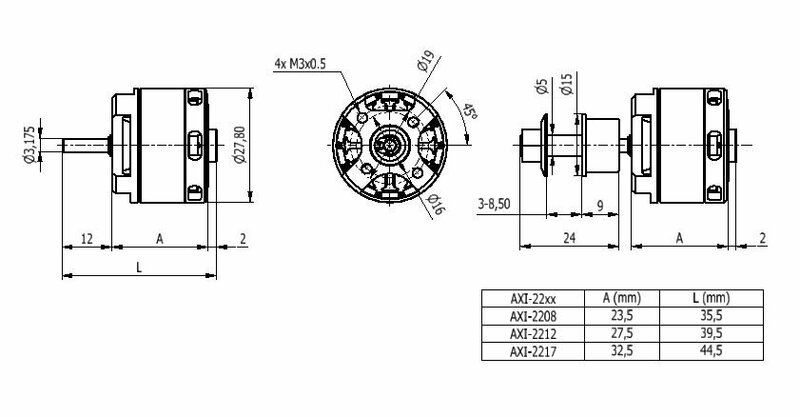 The hardened steel 3.17mm diameter shaft is supported by two large ball bearings which ensure very good mechanical reliability with front or radial mounting. 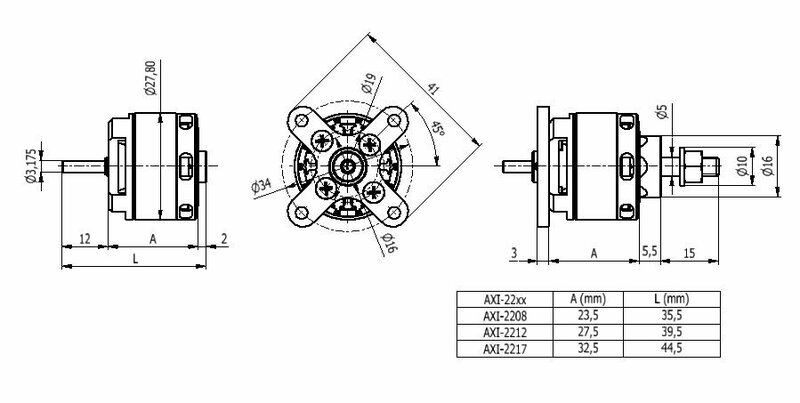 As a result of using the latest ferromagnetic materials the AXI 2208/26 V2 motors offer extremely high efficiency and high load capability for their weight.